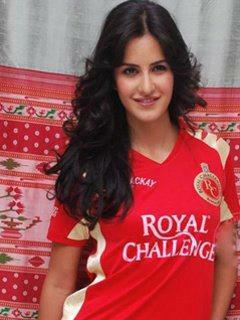 katrina supported royal challengers. katrina is interseted in cricket........ Wallpaper and background images in the Katrina Kaif club tagged: katttrina in ipl commercial. This Katrina Kaif photo might contain picha, headshot, and closeup.